Kwei Quartey’s debut novel Wife of the Gods charmed reviewers and readers alike. With his protagonist Inspector Darko Dawson, literary fans found a new keen-eyed and all too human detective to root for. 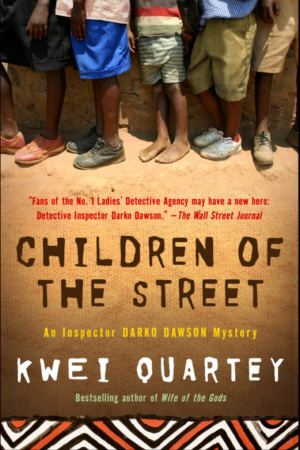 In CHILDREN OF THE STREET Dawson returns to solve an even more gruesome and perplexing case. Through first-hand research on the streets of Accra, Quartey paints a vivid picture of Ghana as a country full of contradictions. Between the push and pull of tradition and modernity, wealth and extreme poverty, readers will no doubt be mesmerized by this latest installment in the Inspector Darko Dawson Mystery series.